As the weather turns colder, a man’s thoughts turn to outerwear. If they don’t, then perhaps they should. In this article we’ll be taking a gander at some fantastic Italian-made coats and jackets for the male of the species. Hope you enjoy them! Alberto Aspesi gives us the warm, four-pocket, corduroy jacket. May I mention the pockets again? They’re huge, so they’re perfect for carrying wallets, small gifts, gloves and so much more. There is also an internal pocket for a cell phone and other private gear. The interior is detachable so you can get more wear out of this piece throughout the year. It’s simple and understated. Perfect for wearing with jeans, khakis, corduroys and more. It retails for around $300.00; but, with the versatility and durability of the piece, it’s really a major bargain! 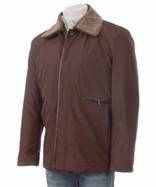 Giovanni Verucci’s chestnut brown, polyester jacket has a zip button entry. The piece contains four outside pockets, two of which are zippered, and three interior pockets (two are buttoned; one is secured with Velcro). You can snap button the cuffs on the ends of the sleeves as well. It’s made in China but designed in Italy. Just so you know. This herringbone coat from the Armani Collezione is truly a wintry delight. The fabric is soft to the touch. The interior is lined to keep you as hot on the inside as you’ll look on the outside when you wear this fashionable piece of gear. There are two external and two internal pockets. The double-breasted buttons are fantastic. They flatter broad shoulders so well, don’t they? 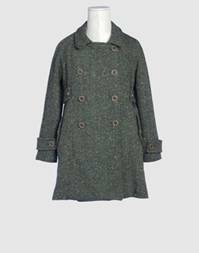 The coat retails for around $850.00; however, if you’re looking for a bargain, you can find one either off-season or on the internet. For the athletic man, we have another Aspesi piece. This jacket is perfect for snowboarding, skiing or just a casual day out on the town. I like the simplicity of the design and the fabric. It’s 100% nylon which makes it easy to wear with anything. You can also layer your look to keep yourself extra warm. The jacket is versatile enough to wear in winter, fall and even spring so you’ll get a lot of use out of it. There’s an elasticized waist just in case you overdo it during the holidays. 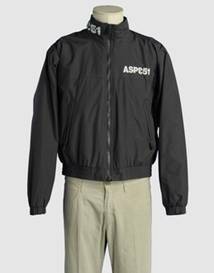 All in all, this is a great jacket for a very reasonable price – under $300.00. R.E.D. 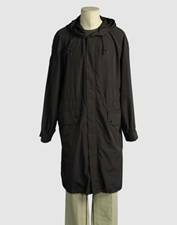 Valentino offers you this wonderful hooded full-length jacket. It has a zip enclosure, a drawstring wais, hemline and stitch detailing. It’s not lined so you may not want to wear it on the coldest day of the year – at least not without some serious layering underneath! This Valentino piece is made of 100% polyester so you know it’s durable. The price is so nice at around $100.00 too! Finally, from Gigli, we have this high-fashion take on the pea coat. I love the double-breasted enclosure. As I’ve no doubt said before, it shows off a broad chest to perfection. If you don’t have one, well, it can give the illusion that you do. So it’s a win-win, guys! The tweed wool is so warm. You can wear this in the worst weather winter has to offer. 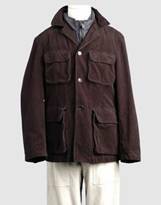 There are external pockets which are enclosed by buttons. You have a belt attachment to the piece if you wish to use it. To me, this may be the most perfect men’s winter coat. It’s absolutely fantastic, and affordable at under $100.00!